Kingmakers are out. There is only one king in the out of the Great Indian Election 2009. 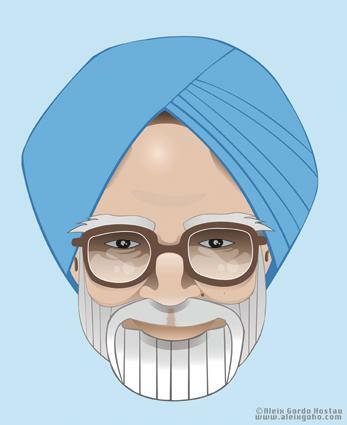 And that's Manmohan Singh, the prime ministerial candidate of the Congress-led UPA (United Progressive Alliance) that won with a decisive margin, belying predictions of a hung parliament. At least half-a-dozen regional satraps who were harboring prime ministerial ambitions and were itching to play kingmakers are now out in the cold. Contrary to the pre-poll scenario, when both the Congress and the BJP were assiduously courting them in search of the elusive 272 halfway mark in parliament, the market value of the so-called kingmakers has dipped dramatically. Almost all exit polls predicted a photo finish contest between the two leading political formations, fuelling ambitions of those who were bracing to drive hard political bargains. Not sure of the numbers, a timorous Congress was courting Janata Dal-United (JD-U) leader Nitish Kumar despite his insistence that he was firmly in the NDA camp. Telugu Desam Party (TDP) chief N. Chandrababu Naidu, AIADMK leader J. Jayalalithaa, Biju Janata Dal chief Naveen Patnaik were among those the Congress was eyeing and had sent emissaries to woo. Congress general secretary Rahul Gandhi even went to the extent of praising Nitish Kumar and Naidu as examples of good leaders outside the UPA fold - widely seen as overtures to the two who have carved their careers around anti-Congress politics. The BJP, which was hoping to emerge at the head of the largest pre-poll alliance, too, unleashed a charm offensive. Senior BJP leader M. Venkaiah Naidu flew to Hyderabad to forge equations with Naidu, a former NDA ally. Gujarat Chief Minister Narendra Modi rushed to Chennai to say it with flowers to Jayalalithaa, who was already declaring price for her support: the dismissal of the M. Karunanidhi government. Others were broadcasting their wish list for potential suitors. Uttar Pradesh Chief Minister Mayawati's ambitions transcended mere deal-making as she fancied herself as a dark horse who could walk away with the prime ministerial trophy if her Third Front allies manage to get more than 100 seats. She was banking on her friend, Communist Party of India-Marxist leader Prakash Karat, who repeatedly said the Left Front would work to install a non-Congress, non-BJP government at the centre. And Samajwadi Party leader Mulayam Singh Yadav went around saying unabashedly that his party's support would be for any alliance that would dismiss his bete noire Mayawati's government. Now the long and twisted wish list of potential kingmakers lies in tatters as they wake up to the post-poll reality. The numbers, on which they were shoring up their dreams, are not simply not with them this time round. +2 Results - any where but within your reach!